Can I wash my party flask? Is there anything I can’t put in the flask? This is a tough one. I guess it depends on what you are willing to drink. The flask is FDA-approved food grade plastic, so anything a typical partier would drink is fair game. We don’t recommend boiling hot anything. And if you freeze the bag with something non-alcoholic in it, make sure to save some space for expansion. It’s not pouring – did I get a broken one? 1. Did you remove the silver foil on the bottom of the spout? 2. Did you remove the red plastic tab protector around the spout so you can press down on the top? 4. If you are still having trouble, you better grab a bottle for now and contact us to get replacement parts. Can I put beer in the flask instead of wine or mixed drinks? Anything you can put in a pitcher can go in a party flask – beer included. All of our products are shipped from Amazon. We stock in country in the U.S., Canada, and Australia. If you are an Amazon Prime member you get the extra benefit of free shipping. Amazon will also ship internationally to other countries. Shipping costs in that case are on you. Does it come with the clip to hang from the fireplace? Every party flask comes with a white carabiner clip so you can hang it from anywhere. To make a place to hang the party flask from a table you can get some picnic tablecloth hooks and slide the clip around that. Can you play Slap the Bag with these flasks? Are these flasks food safe? Our Party Flasks are made from a BPA-free food grade plastic so you don’t have to worry about safety. The same material is used by major food manufacturers who have $billions riding on the safety of their food containers. We aren’t at the $billion level yet, but we wouldn’t risk your safety. You can drink with confidence! My party flask is missing a cap. Help! Our bad. Please reach out so we can send out a replacement part right away. Can you really hang the party flask when it’s full? I’m worried the seams will break. 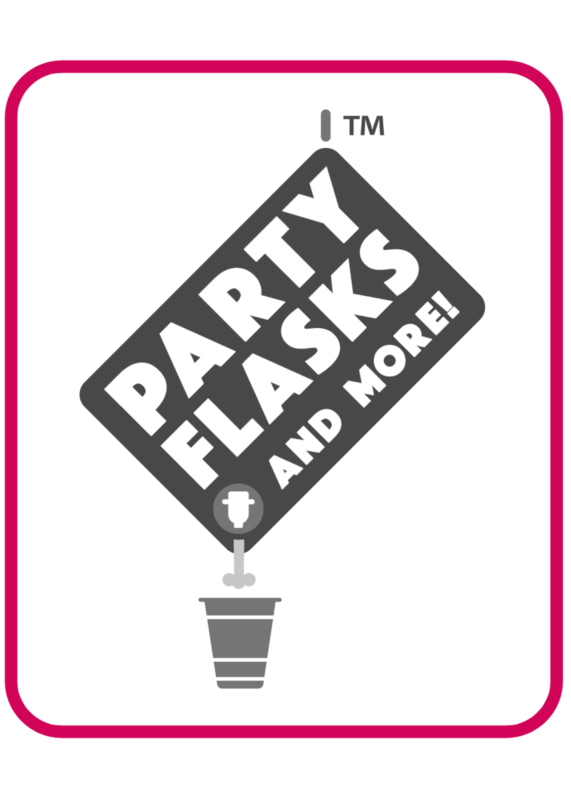 Our Party Flasks are well-made and tested. The only cases where we have heard of the flask breaking open is when people have jumped on a full flask. Per Darwin’s Law, those people should not be partying or reproducing anyway. For the rest of us, you don’t have to worry about the flask breaking open. Is there any residual leaking from the spout? As long as you release the spout before you pull away your cup, you will not have a problem with residual drips. The spout has a safety valve in it that doesn’t allow liquid to flow through when the spout is closed.